The post nuptial agreement in Miami are defined as agreements that are established in the course of marriage, except in order to save the economy of both spouses in the event of divorce or death of a part occurring. The post nuptial contracts can be made even when separation occurs or when both partners decide they need separate property of either product downturns in the economy or financial gains, but remain married. The family lawyers made post nuptial agreements for the same paperwork that will make for a prenup. We write the agreement, both parties have to agree with terms developed, they may even have the presence of a judge and two lawyers against a notary public and make legal postnuptial agreement divorce. Some couples established during the marriage post nuptial agreements because they have been differences of opinion about the property owners and the economy of both. So get making your long and happy marriage. The post marital agreements help maintain and protect the material goods that has earned during his life before marriage. Prenuptial and post nuptial agreement Miami has become very popular these days due to the occurrence of divorces have presented the city. Gallardo recognizes that a prenuptial agreement form would help in happiness and stability of many marriages. The Gallardo offices also have notaries public to help formalize and legalize the agreement. Gallardo Law Firm provide legal representation to reverse or modify the post-nuptial agreement. What is the difference between prenuptial and post nuptial agreement? The difference between prenuptial agreement vs postnuptial agreement marriage is minimal, the only thing that really differentiates the two is that prenuptial agreements are signed before marriage and post nuptial agreements are made during the marriage performed, but both have the same goals. The prenup after marriage contemplated how will custody and child support? No, the issues of custody and child support must be resolved during the divorce. 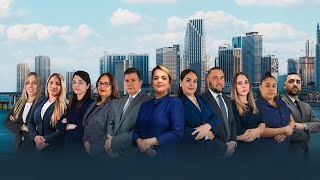 The postnuptial agreement form Miami Florida do not provide for such requirements are only focused on spousal support and division property Miami Florida. What effects could result in the post nuptial agreement form? The post nuptial agreements are made? When both parties to the marriage agree with this process, so you could always benefit the marriage.